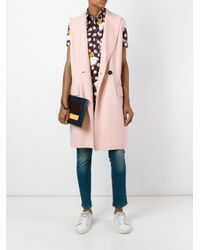 See more Marni Long coats. We check over 450 stores daily and we last saw this product for £910 at Farfetch. 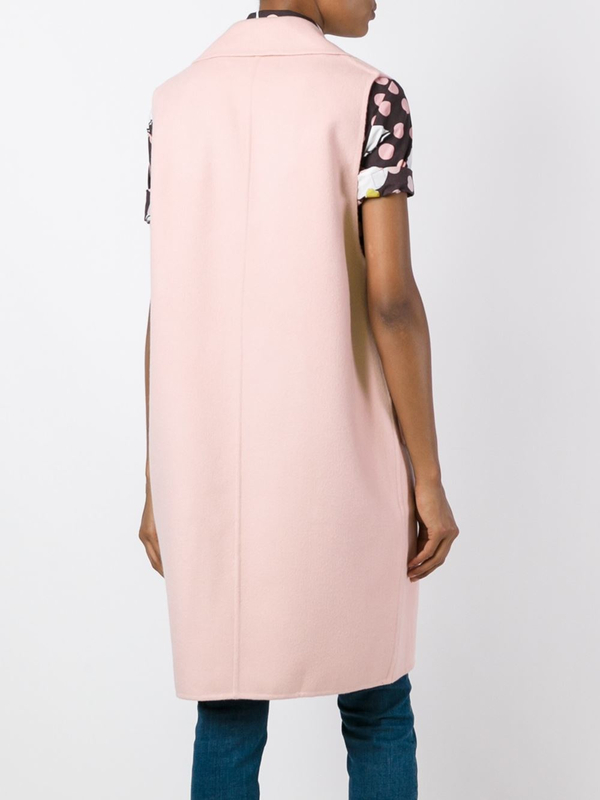 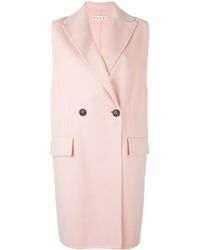 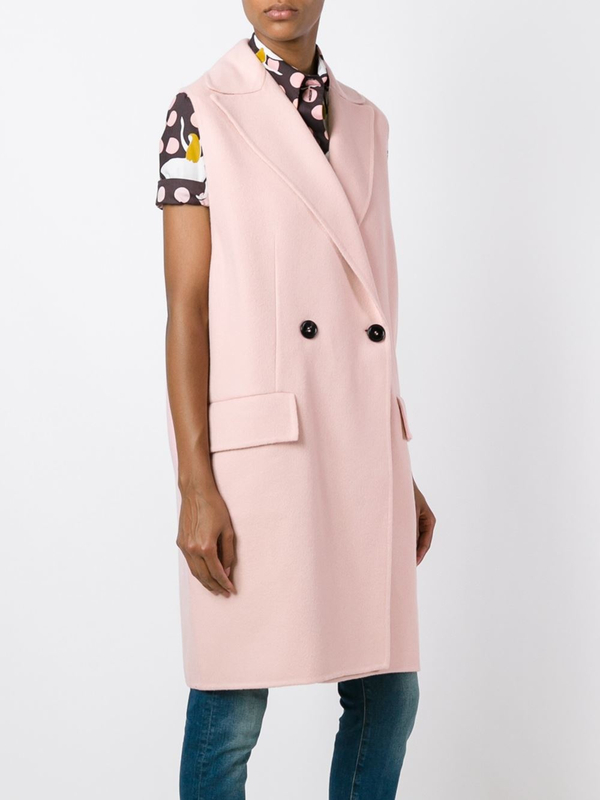 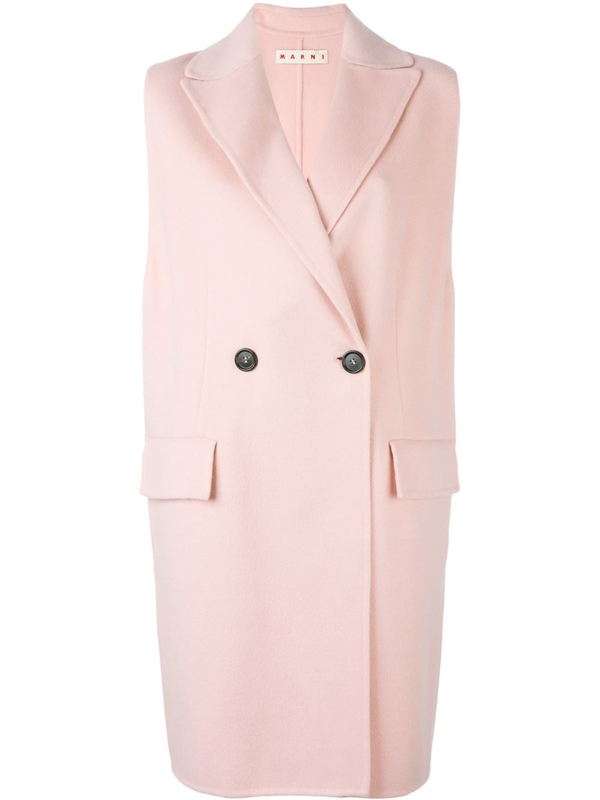 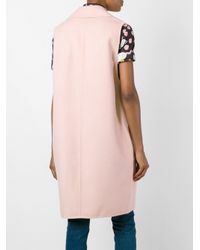 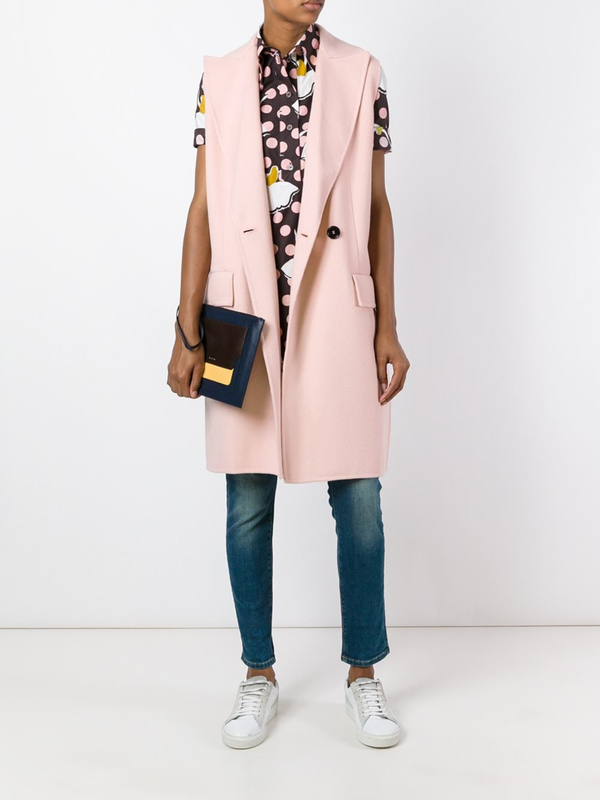 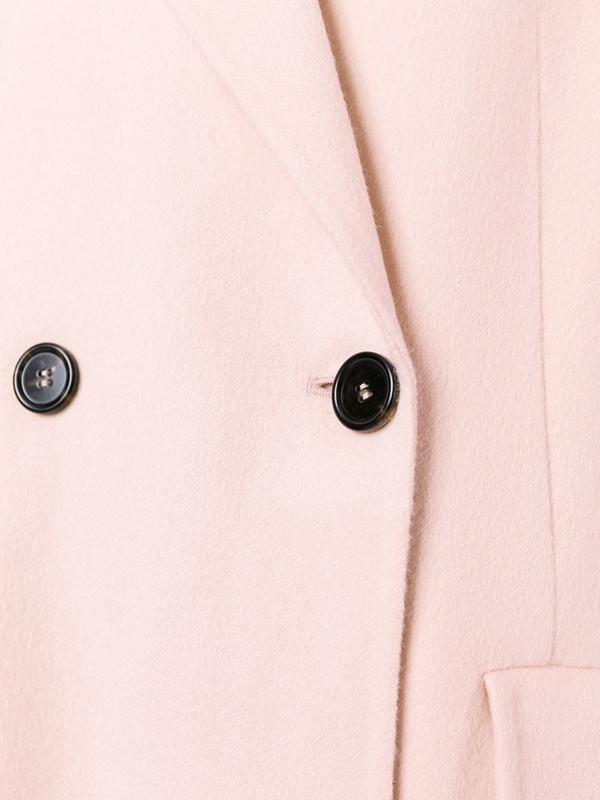 Pink angora-virgin wool blend sleeveless midi coat from Marni featuring a wide lapel, a double breasted front fastening, front flap pockets, a mid-length and a straight hem. 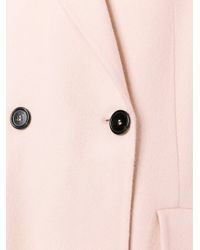 Material: Angora/Cashmere/Virgin Wool.